Puppy Linux Discussion Forum :: View topic - How to access SD memory card via TI cardbus controller? How to access SD memory card via TI cardbus controller? Posted: Sun 15 Jan 2006, 13:42 Post subject: How to access SD memory card via TI cardbus controller? I'm running Puppy 1.0.7 on my Dell m700 almost perfectly. First via CD and then loading fron the USB. After several searches in the forum I found how to enable the Intel 2200 WiFi card. Since Puppy cannot write to the NTFS harddisk I tried to access my Secure Digital Card to store some files. The card is a PNY 512Mb flash card already formatted for use in my camera (this is FAT, or VFAT?). Anyway, I just dont find the card listed in any Puppy program. Tryed MUT, PMount, MTools and any related program. The last one is the USB pendrive from where I'm running Puppy. No info found about the device 8086.4220 (NETWORK - OTHER)! puppy@goosee.com. Also read Modules HOWTO. ETHERNET b44 : Broadcom BCM4401-B0 100Base-TX (14e4:170c) running. CARDBUS yenta_socket: Texas Instruments PCI7420 CardBus Controller (104c:ac8e) running. AUDIO i810_audio: Intel (8086:24c5) running. USB ehci-hcd: Intel 82801DB USB2 controller (8086:24cd) running. USB usb-uhci: Intel USB controller (8086:24c7) running. USB usb-uhci: Intel 82801DB USB controller2 (8086:24c4) running. USB usb-uhci: Intel 82801DB USB controller1 (8086:24c2) running. Can anybody give me some direction to have this solved? How are you connecting the SD card to your computer? Do you leave it in the camera and connect the camera to the computer with a USB cable, or what? I have an SD memory card I use in my Canon Powershot A510 camera. Here's how I transfer files without using any special software: Instead of using the USB cable that came with the camera I take the SD card out of the camera and put it in a MediaGear MGKS-100 USB adapter, which turns it into a USB pen drive. Posted: Mon 16 Jan 2006, 21:30 Post subject: How are you connecting the SD card to your computer? 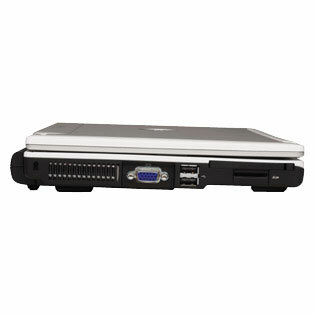 It is an interal Secure Digital slot in the left side of the laptop. You can see it to the right of the two USB ports and left of the tiny white SD logo (looks like a white dot). I dont know where is the USB cable of my camera. Its much easier to remove the card and insert it the laptops slot. This Dell 700m laptop has two USB slots (1 occupied by my Puppy pendrive and the other blocked by the same pendrive) and 1 SD slot. No other flash card format exists, but I know that it can be added via the USB port. I could by a USB hub + USB SD card reader or another pendrive, but I would prefer to use the one that I already have. Posted: Mon 16 Jan 2006, 21:37 Post subject: How to access internal Secure Digital card? I just noticed from the picture that the SD slot is just below the PCMCIA slot. I never use it. Most probably internally it is just a PCMCIA interface. word. the sd slot is controlled by the TI Cardbus controller. you need a driver for this controller to work. however, it looks like this driver is running. you could try taking a look at /etc/pcmcia/config and /etc/pcmcia/config.opts and see if anything in there pertains to your hardware. alternatively, you could try hooking up your camera via usb, it's works with my hp photosmart e317. or, you could poke around this thread. it seems that this is an issue for all laptops using the TI cardbus, but apparently some people have gotten it to mount on /hde. there is also a kernel boot option disscussed here.